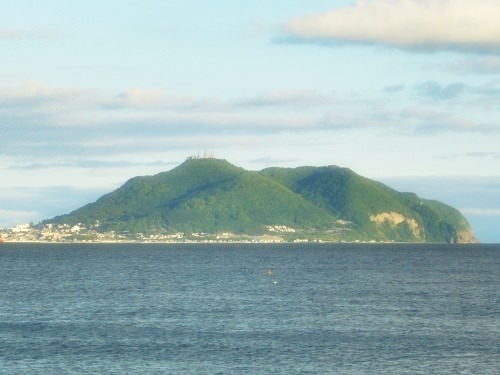 Mount Hakodate (or Hakodate-yama in Japanese) is a mountain in Hakodate (refer to #127). At the same time, it is one of the famous tied islands (or tombolos) in Japan as well as Enoshima (refer to #288). However, it is usually called Mount Hakodate, not Hakodate Island. 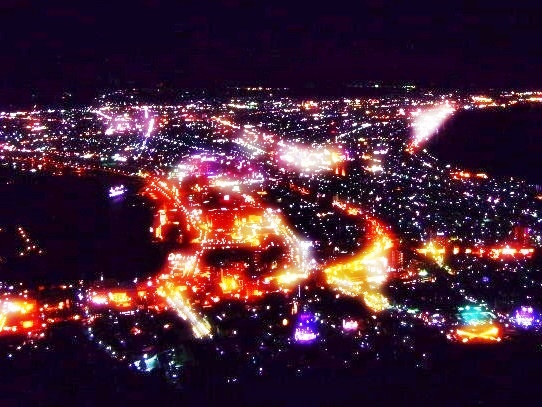 You can get to the mountain top by ropeway, and its panoramic view, especially the night scenery, is very popular. It is often designated as one of the three major night views in Japan, along with that from Mount Rokko in Kobe (refer to #038) and that from Mount Inasa in Nagasaki (refer to #126).